GRANITE FALLS, N.C.--(BUSINESS WIRE)--Throughout America, local retail businesses embody the heartbeat of the communities they serve. This is especially true of flower shops, many of which serve generations of families...creating beautiful floral arrangements and offering other thoughtful gifts. In addition to the personalized service they provide, neighborhood retailers in towns large and small are eager to give back to their communities. BloomNet, an international wire service and world-class business solutions provider, is proud to celebrate the community-minded spirit of local retail florists. 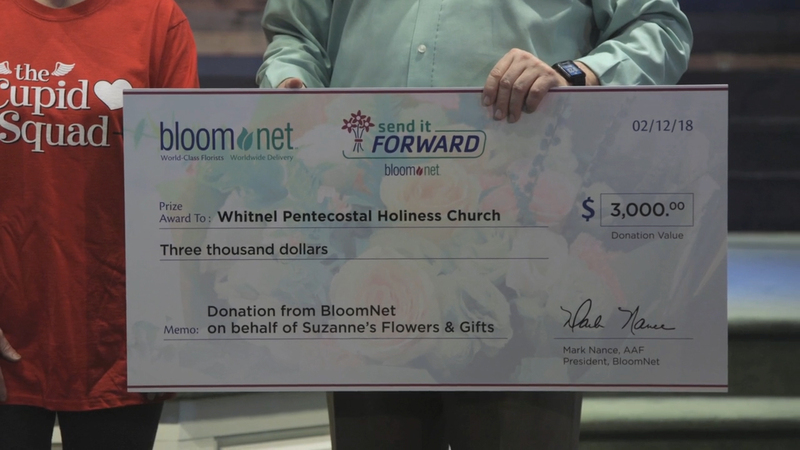 Underscoring that spirit, BloomNet created its “Send it Forward” Sweepstakes, with the Grand prize of a $3,000 donation to a local charity on behalf of the winning shop. Capturing the November 2017 Grand Prize in BloomNet’s “Send it Forward” Sweepstakes is Theresa Kiziah, owner of Suzanne’s Flowers & Gifts located at 10 South Main Street in Granite Falls, North Carolina. The Sweepstakes took place from November 1, 2017 through December 31, 2017. When BloomNet member shops sent orders through the BloomNet Wire Service between 11/1/17 and 12/31/17 they were entered in the Sweepstakes with an opportunity to win a $3,000 donation made by BloomNet to a local charity of the winning florist’s choice. The more orders florists sent the more entries they received into the Sweepstakes. Ms. Kiziah has chosen Whitnel Pentecostal Holiness Church of Lenior, NC to receive the $3,000 donation. BloomNet also donated floral bouquets valued at up to $500 to be used for local donation to Hickory Falls Health & Rehabilitation. Yesterday, Suzanne’s Flowers & Gifts and their “Cupid Squad” helped to share the love within their community by handing out Valentine’s Day Bouquets to residents of Hickory Falls Health & Rehabilitation. “Suzanne’s Flowers & Gifts is thrilled to present the donation to Whitnel Pentecostal Holiness Church, and donation free floral bouquets to the residents of Hickory Falls Health & Rehabilitation. All of us at the flower shop are committed to giving back to our community and we are equally committed to serving our customers with magnificent floral arrangements and the finest customer care,” said Ms. Kiziah. A fixture in Granite Falls known for stunning floral creations and highly attentive customer service, Suzanne’s Flowers & Gifts is dedicated to providing only the best and freshest flowers along with a wide range of top-quality gifts for all occasions. 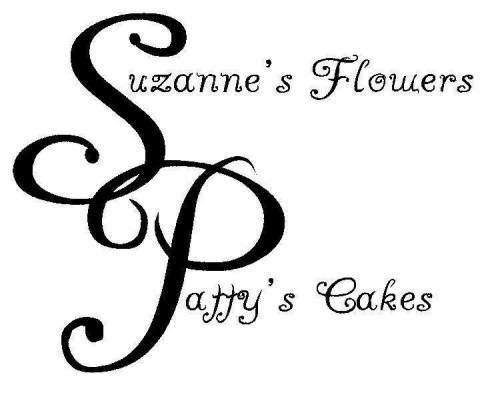 Also part of the Suzanne’s family is Patty’s Cakes, offering a fabulous array of delicious cakes and other baked goods. Owner Theresa Kiziah and her team at Suzanne’s Flowers & Gifts are eager to serve you, assuring that every detail is just right. Orders can be placed by visiting the shop at 10 South Main Street in Granite Falls, North Carolina and by calling 828-396-4090, by faxing 828-396-5130, or online at suzannesflowersandgifts.com. As a proud member of BloomNet, we also provide world-wide delivery of fresh floral arrangements and gifts.